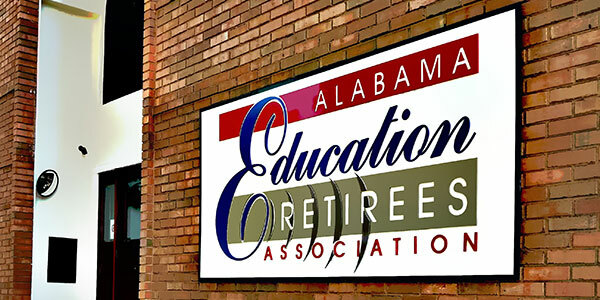 Membership in the Alabama Education Retirees Association, Inc. (AERA) is open to anyone who receives retirement benefits from the Teachers’ Retirement System of Alabama. Currently, AERA has over 22,000 members. Membership makes us stronger especially at the Alabama Legislature where numbers speak louder than words. The value of advocating on behalf of retirees is immeasurable. AERA along with the Alabama Education Association (AEA) advocates to protect PEEHIP insurance funding and cost-of-living adjustments (COLAs). Alabama law does not provide automatic COLAs. Over the years, our advocating efforts have been successful in obtaining COLAs and bonuses. AERA is constantly working to pass legislation to secure a funding source for future COLAs. AERA advocates full funding of the retirement system every year. Paying AERA dues is the only way to protect your retirement from inflation. AERA offers discounts on insurance plans, vision, dental, traveling, and other programs. Save up to 50 percent at local and national merchants with an ACCESS discount membership card offered through AEA. Have access to an attorney referral program with a 30 percent discount offered through AEA. AERA publishes a magazine, The AERA Voice!, for members only. This publication is designed to provide exclusive information for education retirees. Members also receive the AEA Alabama School Journal that keeps all education personnel (active and retired) informed on legislative and other issues affecting them. JOIN US TODAY! OUR STRENGTH IS IN OUR MEMBERS!